I love how much space I have despite it being a 1 bedroom. My favorite thing about my apartment and what led me to choose this place is the floor plan. The renovations really helped the internal aesthetics. Now we just need work on the external. Overall I have no complaints, any issues that arise are all minor. Awesome! We have not had any problems with service. Hope to continue with the rental for as long as the work holds out. Beautiful area and great location. Thanks. Everything has been good. Still slow with things getting fixed that were promised when we moved in a year ago. Pretty chill neighborhood everyone stays to themselves which is nice. Great community, quiet, friendly neighbors and very clean property. Awesome office staff, and quick responsive maintenance!!! Very friendly and kind people to have near you! The apartment was outdated and overpriced. They more than doubled our rent in 2 years with no updates to the facility. Space is decent but it isn't worth what they are trying to charge. They are short-handed on maintenance so the one person they have is doing his best but, it is too much for one person to take care of. Unfortunately, the property is just not managed or maintained the way it should be and too much slips through the cracks. I would not recommend this location. Place was not move in ready, several things we're broken. Windows and doors leak a ton of air, dirt and when it rains water comes through the doors. So inefficient the electricity bill has been $300+ and we keep out apt at 68'f . Great place to live. Good management but needs more maintenance personnel to help out the one maintenance person. Otherwise it's a nice and quiet place to live. I like living here,the only problem is the maintenance don't attent to your needs on time. Secondly the assistant manager is so rude she doesn't have good customer service. Getting things fixed is super slow. Still waiting on the list of repairs I was told when I moved in that would be repaired to be done 7 months later. We have lived here 3 weeks and so far we havent had any issues. We love the space lots of square footage for our child to roam around. Norma the manager and the maintenance guy are very welcoming and friendly. I came here from another apartment complex that had treated us so horrible. They made us feel welcomed here and I am so much more comfortable living here. Great management staff, Norma is very nice and helps out a lot. Lalo, your maintenance guy does his job with a smile. Great atmosphere around the comp li ex. It’s all good. Nice location. Nice to have a fireplace during the very extremely cold winter that midland is suspected to have this year, so I hear. We are very pleased with the resident experience. Thanks so much for your help with this experience! Our employee are well pleased and hope that the work we are having in you area is long and fulfilling! So far so good. However we have been waiting to get a few things fixed for months. Other than this the property is great. The only other thing I can think of is we would like two covered parking spots like everyone else. With the exception of the top floor bring very warm in the summer we love our home. All maintenance is done very quickly and done very well. I love the layout of the apartment and the covered parking is the best. Went we first toured in May we were told that the apartment was getting new windows, porches and the buildings were getting painted. That was lie. 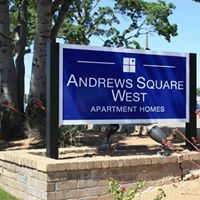 We've had packages stolen and quality of the apartments are poor. Pretty sure everything is made out of plywood. Some things that were broken when we moved in are still not fixed. And when it rains we get a big puddle in our kitchen because the door is busted.